Papa Red, is a 105,000 cubic foot hot air balloon. A banner balloon, standing at over 65' tall Papa Red can sport two branded banners each 16' high and 30' wide - larger, and more impactful than many highway billboards. But we have higher expectations for Papa Red than simply creating an opportunity for consumers to chase your brand down just to see where it will land next - and snap a few branded selfies in the process. 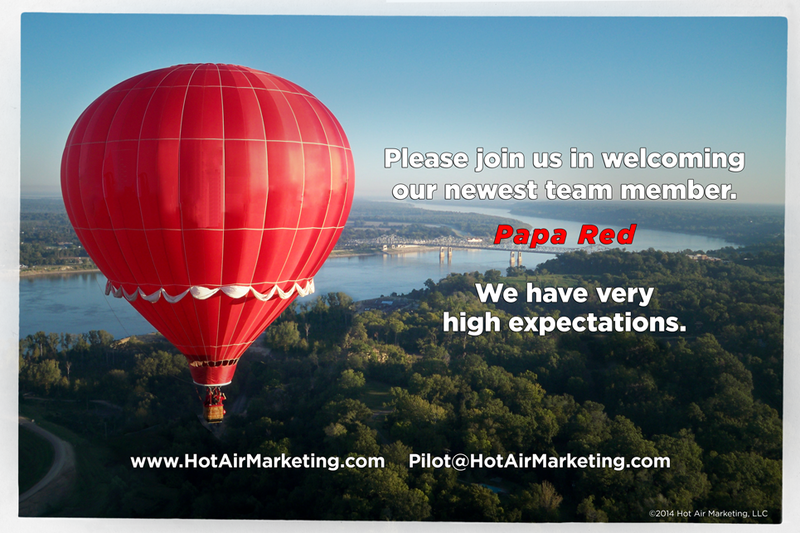 Papa Red is a social media marketing activation machine designed to create opportunities for experiencing your brand in an authentic and engaging fashion leading to conversation and even conversion with the right program (Hot Air Marketing will help with that too). We also expect you'll be surprised at how much bang you can get for your buck from key customer hospitality using a properly designed hot air balloon program. And, yes. We'll be putting Papa Red to work with employee rewards and team building too. Papa Red and his associate Big Red will be heading out on tour again this year very soon. We covered over 15,000 miles last year just on festival and competition tour with exposure to millions of possible customers and possible brand advocates in the process. We would love to talk with you about your brand and social media activation needs. We work well with agencies as an extension of their goals with branding and social media as well. We are currently working on a special branded content concept as well. With an NDA in place, we welcome the opportunity to speak with an out-of-the-box thinking agency exec or brand manager about our registered ideas (now in development). 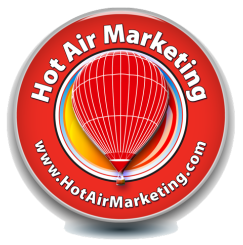 Simply reach out to Hot Air Marketing through our Confidential Inquiry form. Now, as part of our new hire orientation, we like to capture a photo or two of our new members on the job. We hope you'll also join in the fun as we introduce the newest member of our social media marketing team to our prospective clients. Look for us in the skies near our home market in the Raleigh/Triangle area of North Carolina! There may even be a hot air balloon ride it in it for the best photo... Stay tuned.